Starting tonight, the world-wide web will have a new window on the Universe when the AuroraMAX online observatory begins streaming Canada’s northern lights live over the Internet. AuroraMAX, a new web portal dedicated to the science and the splendour of the aurora borealis, is a collaborative public engagement initiative between the Canadian Space Agency (CSA), the University of Calgary, the City of Yellowknife and Astronomy North. In addition to nightly broadcasts of the aurora, AuroraMAX will help demystify the science behind the phenomenon, offer tips for seeing and photographing auroras, and highlight Canadian research on the Sun-Earth relationship. The website will also include an image gallery with still photos and movies from previous nights. 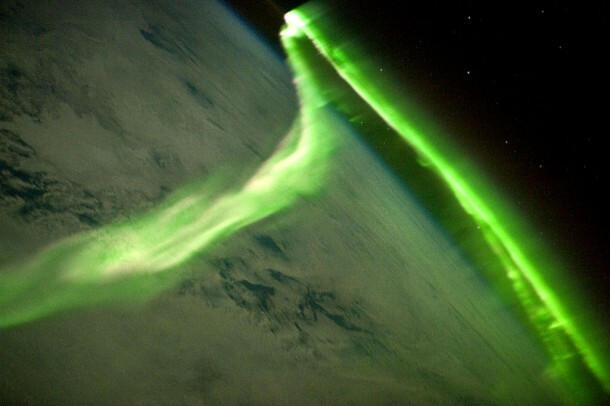 Auroras occur as charged particles from the Sun collide with gases in Earth’s upper atmosphere. The launch of AuroraMAX coincides with the beginning of aurora season in northern Canada, which generally begins in late August or early September and ends in May. Aurora enthusiasts will be able to follow AuroraMAX through solar maximum, the most active period of the Sun’s 11-year cycle, which should produce more frequent and intense auroras on Earth. Solar maximum is currently expected in 2013.